1. Situation: Honorary Col and Honorary CSM of the 37th Armor Regiment Association require your attendance to participate in ceremonial operations and camaraderie. 2. 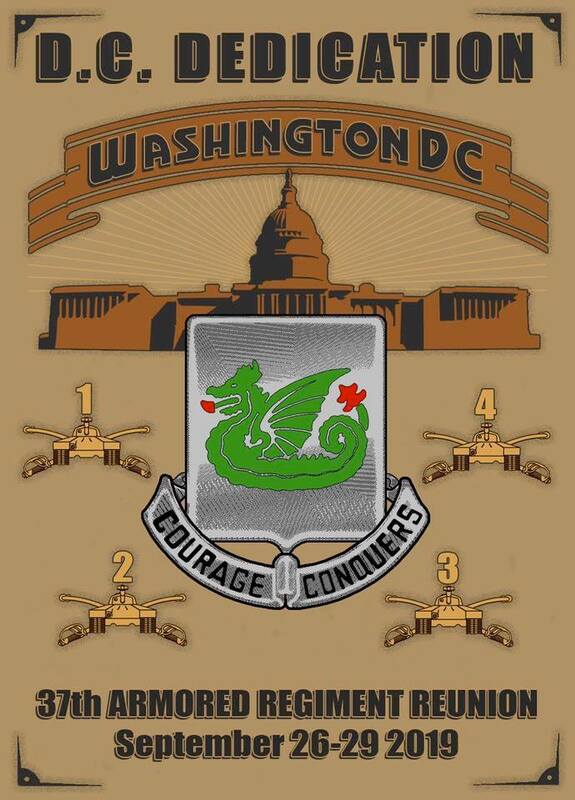 Mission: 37th Armor Regiment (Alumni) conduct Regimental Recall II, D.C. Dedication – NLT 26-29 September 2019 Vicinity Washington D.C. to participate in a wreath laying, plaque dedication, reconnect with battle buddies and reminisce. 4. Special Instructions: More specific details to follow. Copyright © 37th Armor Alumni Association.